We talk a lot about photography and working with images. Today, let’s take a break from honing the photographer’s craft to review your choices for getting images into posts and pages. Uploading is probably the way you usually get images onto your blogs — clicking “add media” while writing a post, choosing the files to upload, and then inserting them into your post or page. If the image is from another site, updating the “link to” field to “custom URL” lets you link your upload to the original. Couple that with an attribution in the caption, and you’re a model internet citizen. If you want to use an image you’ve already uploaded somewhere else, you can do that without re-uploading it to your blog. Click on the same “Add Media” button as when you upload, but instead of uploading files, choose the “From URL” option. Copy the URL of the image from the site where it lives, and paste it in. 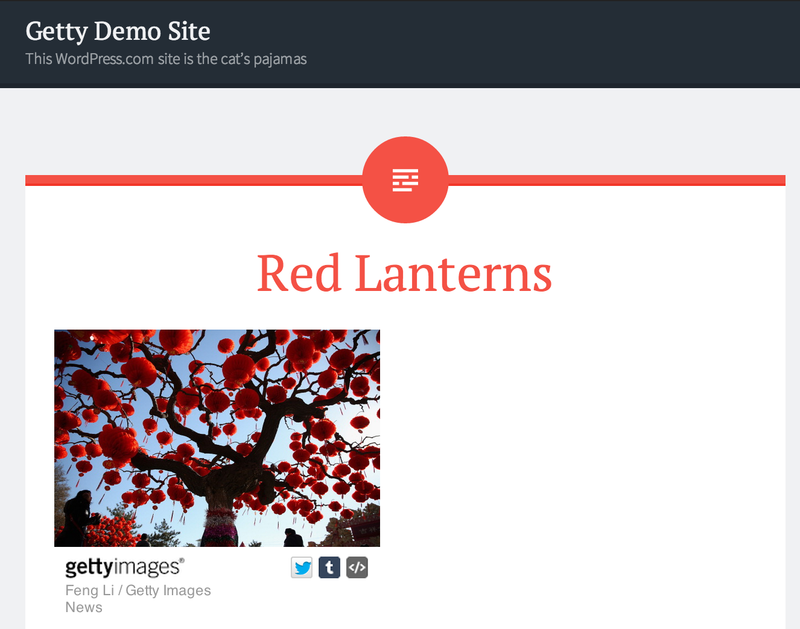 Earlier today, we added support for Getty Images that allows all WordPress.com bloggers to embed photos from Getty’s huge library — one of the world’s largest digital photo archives — into your sites for non-commercial use. Oh, and it’s free. Embedded Instagram and Flickr images are also a simple copy-and-paste away. You can also embed images and much, much more (videos! slideshows! menus! maps!) with shortcodes; shortcodes even give you control over how the embedded media is displayed. We’ve chatted about them before. [scribd] to embed a document/file from Scribd. 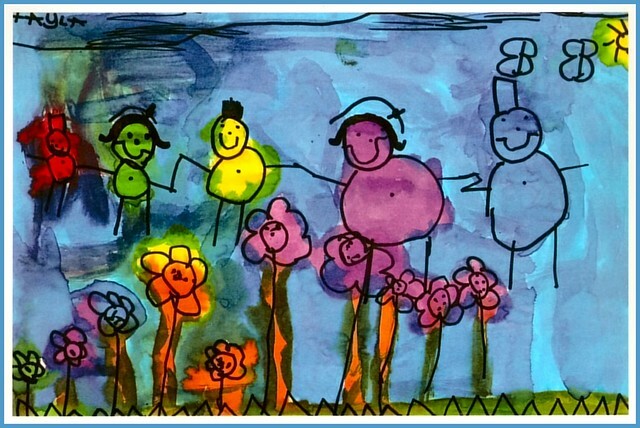 [slideshare] to embed a slideshow from Slideshare.net. [slideshow] to embed a slideshow of uploaded photos. [presentation] to embed a slideshow presentation. [googleapps] to embed a document from Google Docs. [office] to embed an Excel document from Microsoft Office Live. You can check out all the shortcode options in the support document. We’re especially excited about Getty Image embeds — this puts thousands of stunning, professional images at your disposal. We can’t wait to see how you use them. Happy hunting! This is a little off-topic, but is there any way to choose which picture becomes the cover picture in the reader? I feel like I’ve tried everything but if I use more than one picture in a post I can never get it to choose the one I want! Try setting the Featured Image in the post editor, mine is in the bottom lower right. Hope that helps. Thank you both! I’m writing in the support forum now. Omg I had exactly the same problem! Thanks for clarifying. I have a question, I haven’t checked into this in detail yet but since I am here I will ask. Is there a way to use the Featured Image that some theme supports with an image url versus having to upload? Right now, featured images have to be something in your media library — that is, something you upload. Yup, thought so. Feature request then, lol. Thanks for the quick response. Thrilled to see the Getty embed option added! I’m still finding that the most robust features of WordPress are only accessible from my Mac, though posting from your iPad app is often more convenient—albeit slower and crankier. Hope to hear you’re going to make some more capabilities available on your apps soon. Our mobile folks are always looking for feedback on the apps — feel free to leave your thoughts for how the iOS app could be better in the Ideas Forum and leave a link here, and I’ll share it with them. Is it OK to change the image size or border (height width frameborder atrributes)? Yes, just not the link/attribution. This blog is an eye-opener. I’m so glad to find out that I can do more than uploading images (photos) from my computer. I have copied and pasted some images from “bing” on occasion, and have found that after time, they disappear from my blog. Don’t know why, and is there any way to avoid that from happening? Thanks. As the post notes, if you’re using a link rather than uploading the image file to your blog, then if the image disappears from the original site, it will also disappear from yours — there’s no longer anything for you to link to. That why we recommend that you link/cut and paste only when you control the image. That way, you know it won’t just be taken down. Thanks for clearing that up. Yes, I did read that about the url, but didn’t put it together with my copying and pasting. So, now I went onto the Getty images site. How do I embed their images and photos into my blog? Don’t know how that will work if I want to use their photos. Do I first save their photos onto my computer and then upload it to my blog? No, don’t save them — follow the instructions in the post above, and paste either the photo’s URL or embed code into your post. And the value of being a “Getty Photographer” drops again. I am one of these photogs dwindling in value but don’t care enough to winge – without Getty, I know I’d be worse off so until my tongue bleeds, I’ll bite it. Okay, I’m a tad bit confused here. Does this mean we are able to add a Getty Image just by inserting it using its URL? And it is for free? Please enlighten me. I may be wrong. Thanks! Yes and yes. The image will come with a link to Getty and an attribution to the photographer. That is great news! Thanks for the clarification, Michelle. Much appreciated! Thanks for the information, I was trying to figure out the pics 😔… It was told to me that I need make my images smaller and add text. Thanks again! Have tried these instructions for embedding over and over, doesn’t seem to work, except once months ago, by accident! I copy the code, paste in the post, it never shows up when I preview. Can’t get it to work through the insert media option either. Must be something I’m missing. If I go the link route, then that’s what I get in the post, a link, not the image itself. Just a thought. Are you trying to insert the code in the Visual or Text Editor? You need to do it in the text editor, if you try embedding in Visual editor all you will see is the code. When you change back to Visual you should see a box where the image will go. Hope this works for you. Thanks, that “sorta works”, until I try to save it, then it disappears, the box, and the code. I posted the same code in the visual and text editor. No problem saving and publishing Does your code look similar to mine from Getty Images? This is what I copied and pasted into both text and visual. When I pasted into text, and then switched to visual, there was a box, with a tiny box in the middle. As soon as I “saved draft” it all disappeared. This code looks a bit different from yours though. Thanks for your effort to help! I see the code didn’t copy so will find another way to show you. OK, another try. The first link, if you can see it, is a photo I managed, don’t know how, to “embed” in a post a few weeks ago. Not working this time around, and I had problems with it. The second is the one I’m attempting to embed. With both, copied the code as they provide it. Wondering if the format is the issue, or my theme. Kudos for Getty Images! Great work! Love this, I have used the Youtube code and enjoy having more options. It’s great WordPress is trying to give everyone a real website building experience. It really was exciting making my first ones over ten years ago but I have to admit the internet can do much more today and look better doing it. nice , I have used the Youtube code and enjoy having more options. It’s great WordPress is trying to give everyone a real website building experience. 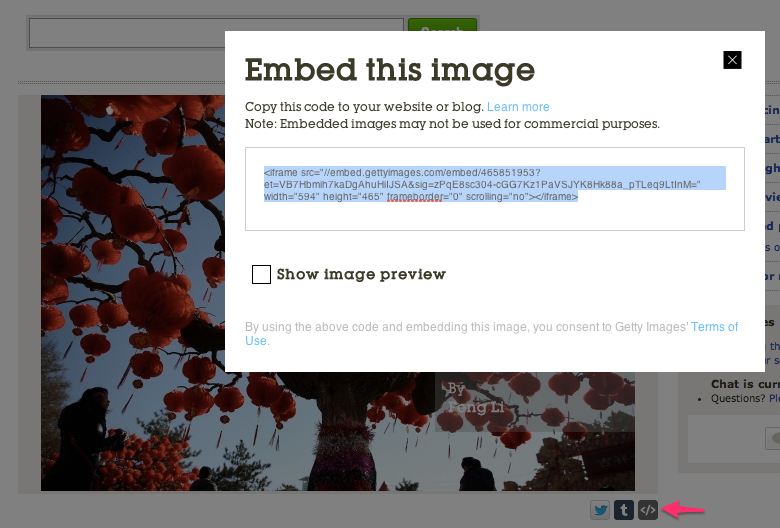 Love the Getty Images but I wonder if it is possible to use one as a Featured Image since it is embedded not uploaded. They do not appear in the Media Library. Also, would you prepare a tutorial on how-to-search their massive database while still making sure the images are part of those available for embedding. I find the filters a bit confusing and have come across photos that don’t have the icon. Thanks again to the WP team and Getty Images. ❤ Have a lovely day!